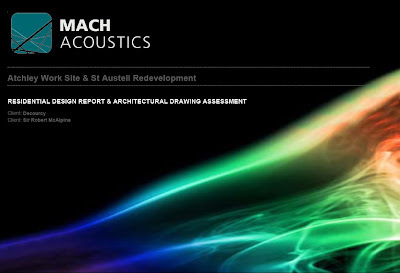 MACH Acoustics have recently been asked to demonstrate the quality of our work and the approach taken to residential building design. As a result we have loaded several example residential reports to the MACH Library. This report covers the acoustic design review for City View in Bristol, where acoustic consultancy was provided for a £7.5m residential development. Along with acoustic consultancy, pre-completion testing was carried out. As a result of our clearly illustrated work, the design team, quantity surveyor and the site team understood the acoustic requirements of this building. This resulted in a full compliant building in line with Approved Document E. Early sound tests was use to demonstrate that the cost effective, lean design work. These sound tests also proved to be exceptionally useful in helping the construction team to understand importance of key details. The second part of this document is a detailed architectural review covering acoustic flanking of the residential block within the St Austell Town Centre Redevelopment project. This was a £70m development consisting of car parks, residential buildings, a cinema block and a shopping mall. MACH Acoustics provided acoustic consultancy, pre-completion testing, early sound testing, PPG24 assessments and BS4142 assessments. Detailed PPG24 and BS4142 assessments were required for planning reasons.